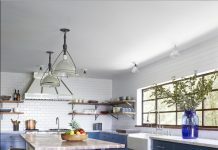 Although you may have found us through some of our more well-known cement tile designs, like our geometric Fez concrete tiles, when it comes to choosing the encaustic tiles that will work for your concrete tile installation project, we have many different cement tile patterns to choose from. For example, if you’re looking to bring a bit of retro styling to your midcentury kitchen with an updated kitchen backsplash, Nara encaustic tiles might be an option. Nara’s concrete tile pattern is based on 200-year-old embroidery patterns from Japan, known as sashiko. Sashiko is a type of folk embroidery that creates geometrically patterned backgrounds of curved or straight lines. In fact, the word sashiko literally means “little stabs”—a nod to the very small stitches employed in creating the artful needlework. 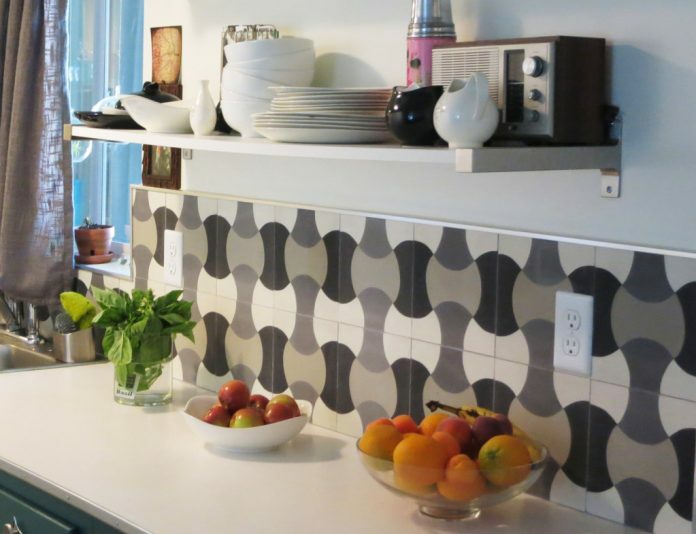 Though the source material might be centuries old, the cement tile designs seem anything but. 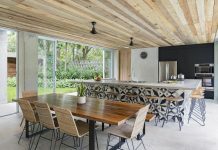 Instead they are bold, lively, and thoroughly modern, at home in a variety of tile installations from concrete wall tiles in a bathroom to cement backsplash tiles in a kitchen. 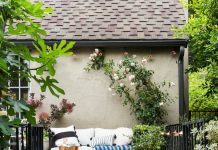 Depending on the colors chosen for your encaustic tile palette, the design can be either muted or played-up, depending on the role you want your cement tiles to have in your concrete tile installation. The qualities that make Granada Tile’s cement tiles perfect for a hardworking coffee shop floor or restaurant floor — in addition to their beautiful designs and vivid colors, our concrete tile is long lasting, easy care and low maintenance — are the same ones make it perfect for your kitchen tile project, whether used as kitchen floor tile or kitchen wall tile. Start by visiting our cement tile shop to peruse our large selection of in-stock handmade master-crafted cement tiles and call us today at 213-482-8070 to discuss which of our encaustic tile designs would be perfect for your home or restaurant project.